Staying warm and mostly dry across Northern California today, but much cooler and active weather is returning this week. Not much is changing across Northern California in your Monday forecast, but that will not be the case over the next several days. 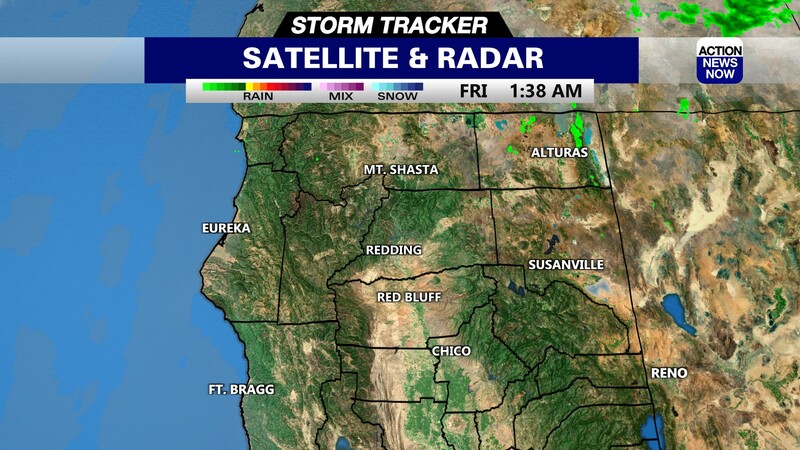 Showers and thunderstorms tracked across the Sierra again last night, but we are dry and clear for the start of your Monday. Most of Northern California will stay dry today, but we will have another chance for active weather across the Sierra and Cascades from early afternoon through tonight. Temperatures are starting out in the mid to high 50's in the valley this morning, and in the 30's to 40's in the mountains. Winds are out of the East this morning, but will be out of the South to 10mph this afternoon. 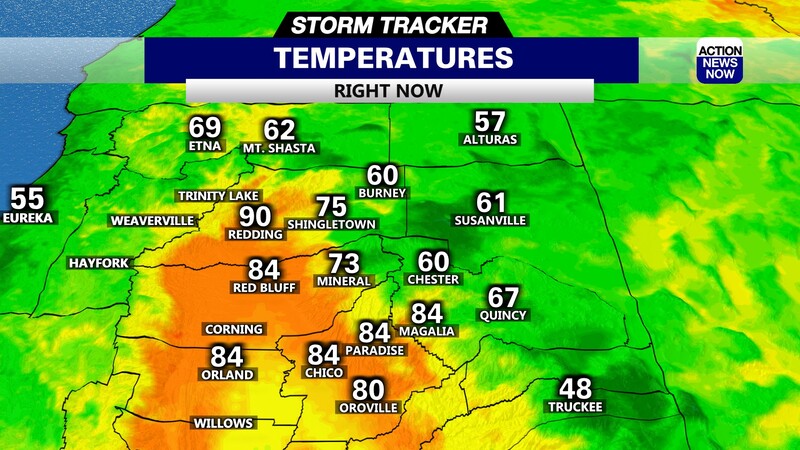 Temperatures are projected to climb into the low to mid 80's in the valley this afternoon, and into the low 70's to around 80 degrees in higher elevations. Some showers could persist into the late evening across the Sierra. A decent cooling trend, and the potential for more widespread active weather will be returning for the middle of the week. Temperatures will top out in the high 70's to low 80's in the valley on Tuesday, and will then fall into the mid to high 70's on Wednesday. There is a slight chance for showers brushing the Northern zones of the valley on Tuesday, but the latest models are keeping active weather in the mountains. The chance for showers will become much more likely in the Northern end of the valley on Wednesday. Showers and thunderstorms will be possible across the entire valley on Wednesday and Thursday. Areas of the mid valley are not as likely to be active as the Northern zones, but we can't rule out the potential for showers and thunderstorms. 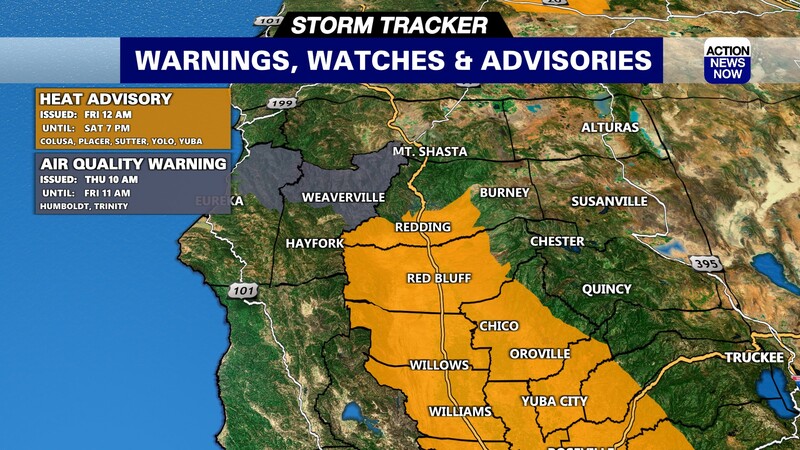 The Sierra will more than likely see active weather each afternoon and evening through Thursday. A modest warming trend will result in low to mid 80's returning to the valley by Friday. Friday is currently projected to stay dry in the valley, but there will continue to be potential for active weather in the mountains. Temperatures will top out in the low to mid 80's in the valley for both Saturday and Sunday. The current outlook for this weekend is showing dry weather in the valley, but the potential for Sierra showers will continue.